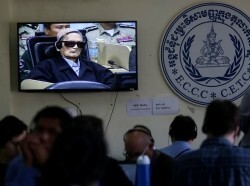 Nuon Chea was convicted of genocide in a tribunal in Phnom Penh in November for his role in the Cambodian genocide. Shelly Culbertson relays the story of her trip to interview him at his home in Pailin in 2003. This study examined U.S. Cambodian refugees' utilization of mental health services across provider types, levels of minimally adequate care, and mode of communication with providers. The Mekong Basin Disease Surveillance cooperation (MBDS) is one of several sub-regional disease surveillance networks that have emerged in recent years as an approach to transnational cooperation for infectious disease prevention and control. In interviews conducted for this study, Cambodian refugees reported exceedingly poor health when compared to the general population of Asian immigrants. Uses a subset of a sample representative of the largest Cambodian refugee community in the US to examine prevalence and correlates of disordered gambling among Cambodian refugees. The International Health Regulations (IHR) 2005 present a challenge and opportunity for global surveillance and control of infectious diseases. Examines how to prioritize and sequence political, social, and economic policies in post-conflict countries to sustain peace and reduce the risk of violence reoccurring. This study examined U.S. Cambodian refugees' use of complementary and alternative medicine and Western sources of care for psychiatric problems. Analyses assessed the extent to which complementary and alternative medicine was used in the absence of Western mental health treatment and whether use of complementary and alternative medicine was associated with decreased use of Western services. October 11, 2006 News Release: Troubled Cambodian Refugees Likely to Seek Help for Mental Health Problems, RAND Study Says. Asian Americans encounter barriers to mental health care, some of which are structural, whereas others may be cultural. In a survey of Cambodian refugees in California, nearly 70 percent of those with mental health disorders sought medical help for emotional or psychological problems in the previous year, contradicting the common belief that Asians are less likely to seek mental health services. A detailed guide to the vast body of available combat and combat-related data from the recent war in Southeast Asia. 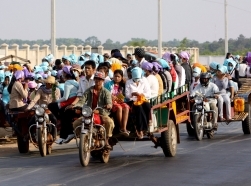 Laos, Cambodia, and Vietnam have been recognized as an interdependent front by Communist strategists for 19 years. Vietnamese Communists have been involved in Indochinese affairs for approximately 40 years. 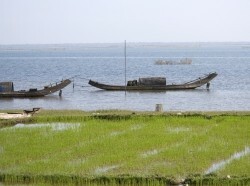 An examination of the implications and desirability of a development program for reclamation of the Plain of Reeds, part of the Mekong River delta extending over much of the Cambodian-South Vietnamese frontier zone. An examination of the role that North Vietnam is playing in the present struggle in South Vietnam. The Momorandum also discusses the function of Laos and Cambodia in providing passage and safe haven for the insurgents.